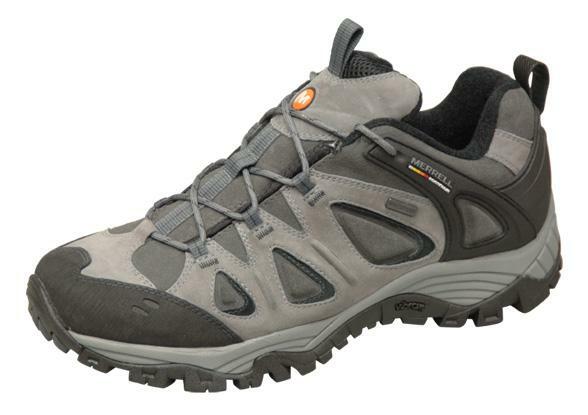 I have really liked the Merrell Outland hiking shoe. I could get 500-600 miles on one pair before they had to be retired. Unfortunately Merrell discontinued them so I bought a pair of the Radland Shoes. I’m not going to lie, I really like the Outland so the Radlands had some big shoes to fill. Comfort: 3 out of 5. They were fairly comfortable right out of the box. I didn’t have to change out the insoles like I normally do. However, the curve of the toe box was too drastic and I develop blisters on both of my little toes. I was wearing Injini socks and both of them now have a hole right wear the shoe rubbed. After a few hikes however, they did wear in nicely and my toes no longer rub. Sole: 3 out of 5 the tread lugs on the outside edge tore off after just a few hikes. Also, they do not have as good of gripping on the traction as the Outlands. I tend to slip more on smooth rock trails. They are average. Laces: 0 out of 5. The laces shredded easily and do not stay tied at all—even with triple knots that I crank down on. Replace the laces. Overall Rating: 3 out of 5. The Merrell Radland is not a replacement for the Outland. Luckily Merrell brought back the Outland. I would not recommend the Radland for brushy hikes, but they did do well for trails that are not demanding.